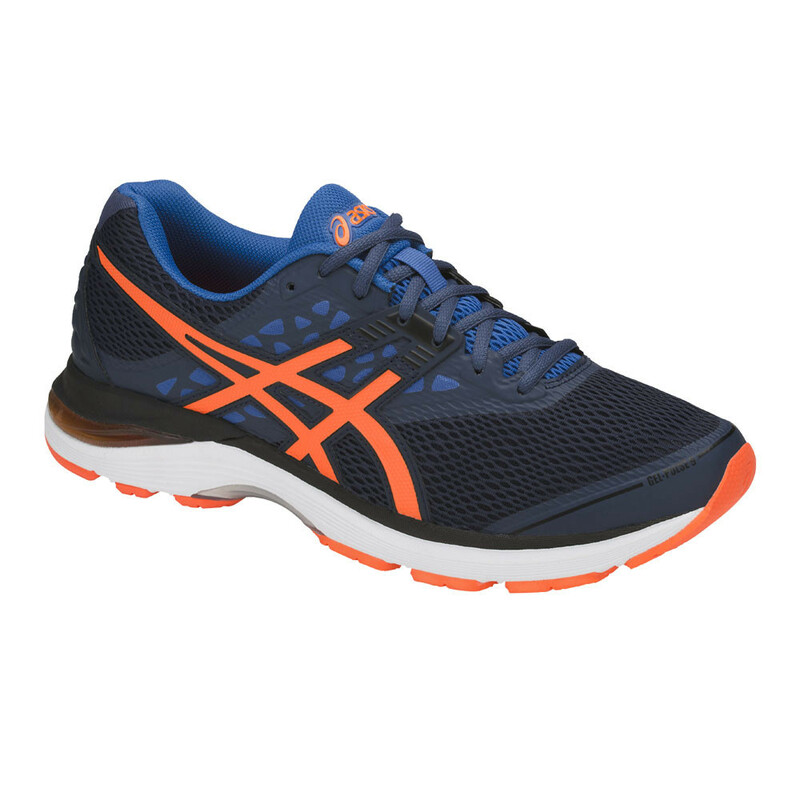 The ninth generation of the Asics Gel-Pulse shines like its predecessors with its excellent damping and unbeatable price-performance ratio. "Great running shoe, size is as it says"
A breathable mesh upper will encase each foot in breathable comfort. Perforates in the fabric increase airflow; creating a better, healthier environment for your feet to thrive in. 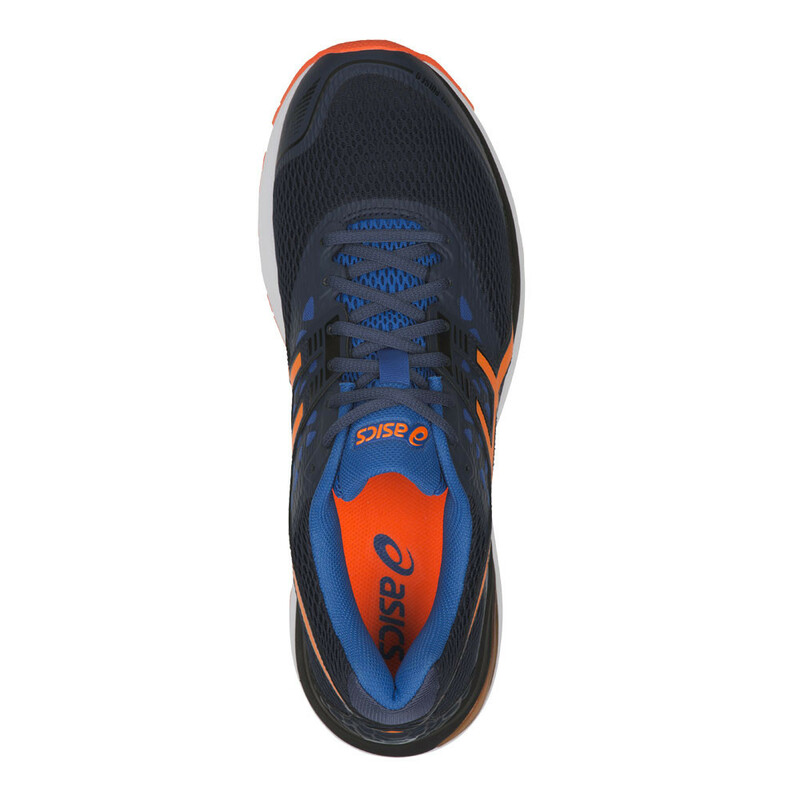 Synthetic overlays swathe the midfoot and heel to surround you in structured support, while an external heel counter works to anchor your foot to the midsole; reducing in-shoe slippage for a smooth, distraction-free ride. Reflective details complete the Gel-Pulse 9's upper, increasing your visibility to passing vehicles and keeping you safe on those late night road runs. The removable EVA sockliner lies atop a lightweight midsole for an extra layer of plush, step-in comfort. A length of SpevaFoam resides underfoot to improve bounce-back characteristics and decrease midsole breakdown; the added cushion produces a soft feel and improved comfort for an even, uninterrupted ride. Sitting beneath the SpEVA platform, and complimenting its bouncy nature, are the Rearfoot and Forefoot GEL Cushioning Systems. This clever technology works to reduce shock during the impact phase; sparing your joints as you sprint down onto hard, unforgiving pavements, and allowing for a peaceful transition to mid-stance. 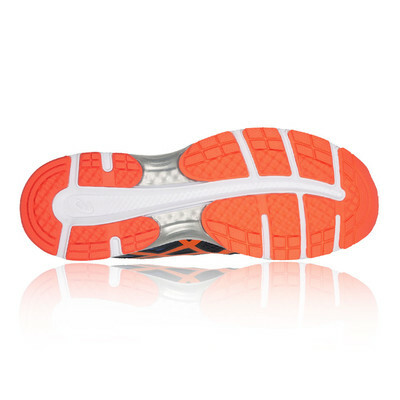 The Trusstic System has been implemented to reduce the weight of the sole unit and link the forefoot and rearfoot. It works alongside the Guidance Line to encourage a more consistent and directional gait, without compromising the shoe's structural integrity. AHAR (Asics High Abrasion Rubber) is strategically placed on the outsole to provide extra durability and traction in high-stress areas. The tread provides superior multi-directional grip; allowing stability on wet and dry ground. 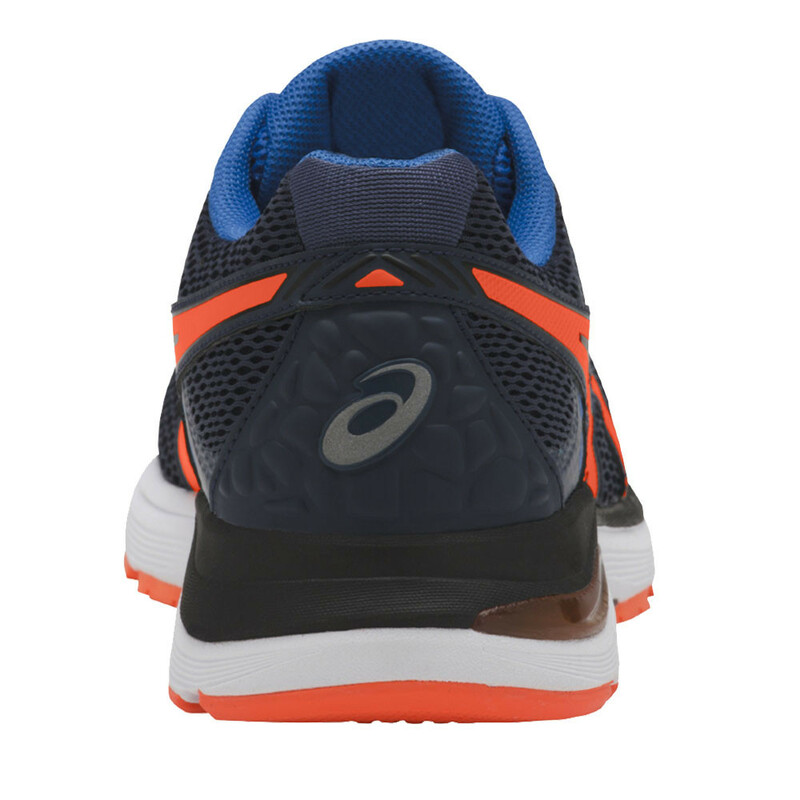 Flex grooves adorn the outsole, introduced to promote natural foot flexion for easy, unhindered paces. For athletes with a neutral stride who crave a springy, supportive and comfortable ride: choose the Gel-Pulse 9. Synthetic overlays - For structured support. 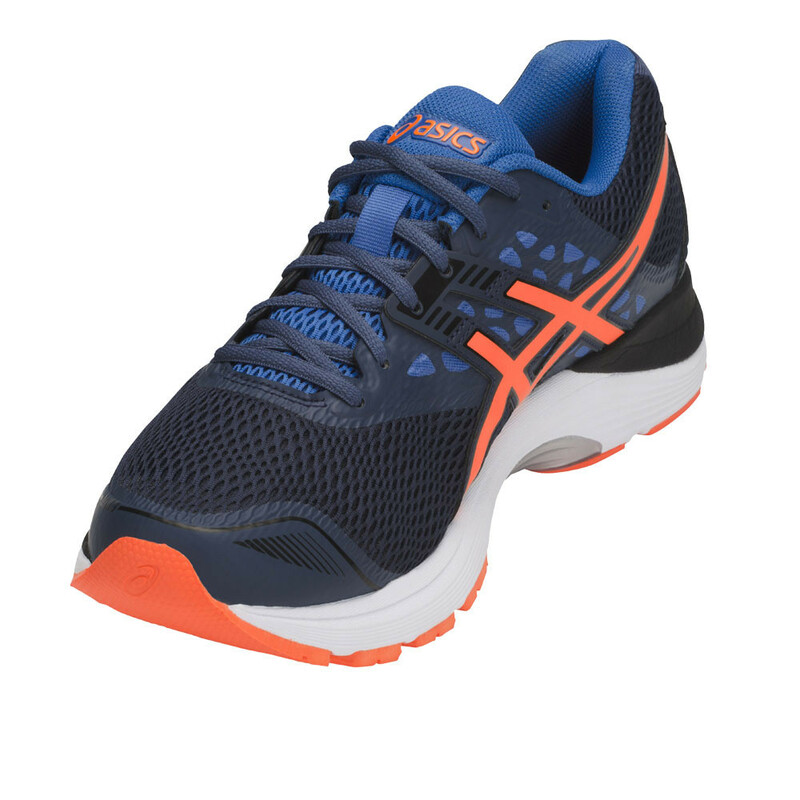 External heel counter - Promotes a firm, locked-in fit. Reflective details - Increase visibility to passing vehicles. Removable sockliner - For an extra layer of underfoot comfort. SpEVA midsole - Provides bounce-back and reduces the rate of midsole breakdown. 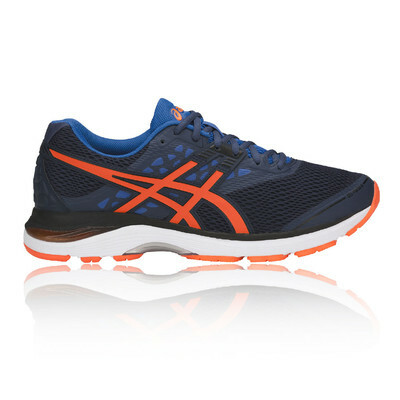 Rearfoot and Forefoot GEL Cushioning Systems - Absorbs shock at heel-strike and toe-off. Trusstic System - Reduces the weight of the shoe without compromising its structural integrity. Guidance Line - Helps to ensure gait efficiency and reduce the risk of fatigue and injury. 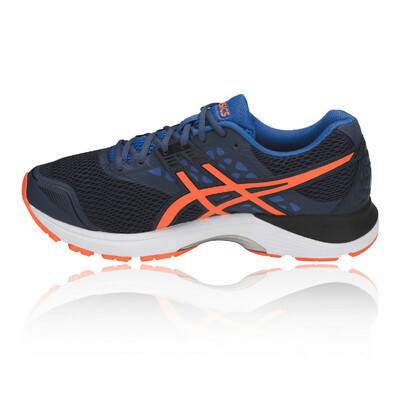 AHAR (Asics High Abrasion Rubber) - Abrasion resistant rubber placed on critical areas of the outsole to supply extra durability.